Open to all CWC members and to non-member residents of the North and South Carolina. Entries must be original and unpublished. This includes blogs, Facebook, websites and any other digital media. For short fiction of up to 500 words. Only one entry per contest is allowed. Prizes will be awarded in December at the CWC general meeting. Include submission title and word count in the upper left corner of document. For inquiries or questions, contact David Poston, Contest Chair. 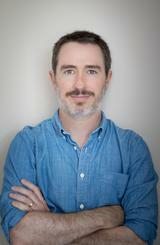 Wiley Cash is the New York Times best selling author of the novels The Last Ballad, A Land More Kind Than Home, and This Dark Road to Mercy, all from William Morrow/HarperCollins. He serves as the writer-in-residence at the University of North Carolina-Asheville and teaches in the Mountainview Low-Residency MFA. He lives with his wife and two young daughters in Wilmington, North Carolina.